I’m so pleased to be a guest on Mary Tod’s wonderful blog A Writer of History. With recent press on the dangers of cultural appropriation, Ruth Hull Chatlien provides readers and writers with an interesting and thoughtful perspective. 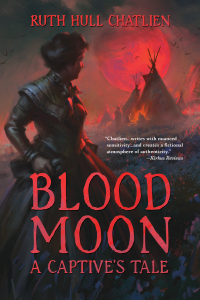 Ruth’s latest novel, Blood Moon – A Captive’s Tale, released this week. The moment I heard about Sarah Wakefield’s experiences as a captive during the deadly Dakota War of 1862, I knew I had to tell her story.